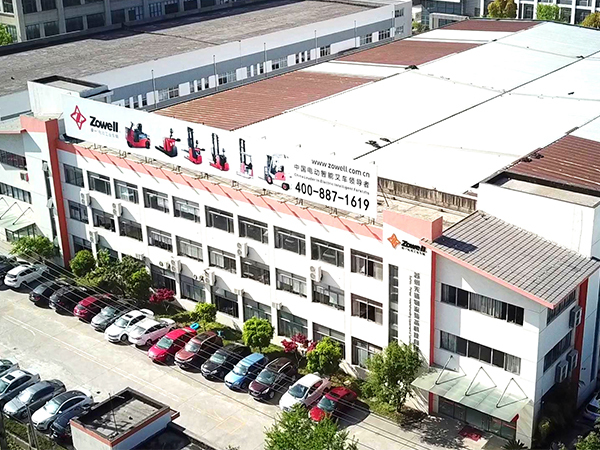 Suzhou Pioneer Material Handling Equipment & Technology Co. is an enterprise focused on the research and development and production of material transporting equipment with 15 years of industry experience. Zowell is our self-owned brand that covers our 6 series of products. 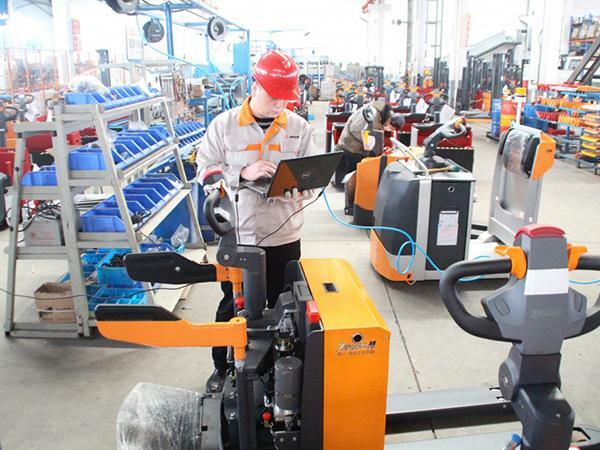 We manufacture electric counterbalance forklift trucks, electric reach truck, electric reach stacker, electric power pallet jack trucks, electric lift stacker, and electric tuggers. We can also provide truck customization services according to customer requirements. These customization options result in the production of trucks that are more suited to the unique applications of the end users. Our products are widely used for transportation in machinery, food, medicine, automobiles, household appliances, textiles, tobacco, etc. 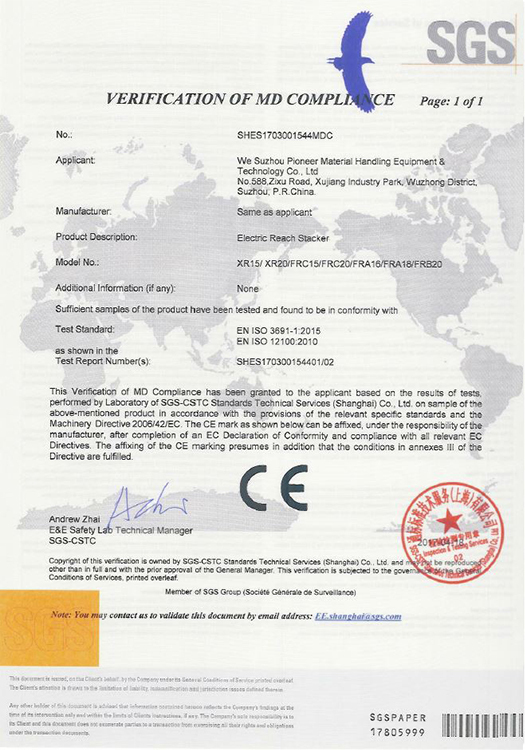 As a superior manufacturing enterprise, Zowell pays close attention to product quality. We strictly adhere to ISO9001 quality management system standards as well as other industrial certification requirements to ensure all equipment meets international safety and performance standards. Prior to delivery, we will test the equipment to determine whether it meets the requirements of the order. 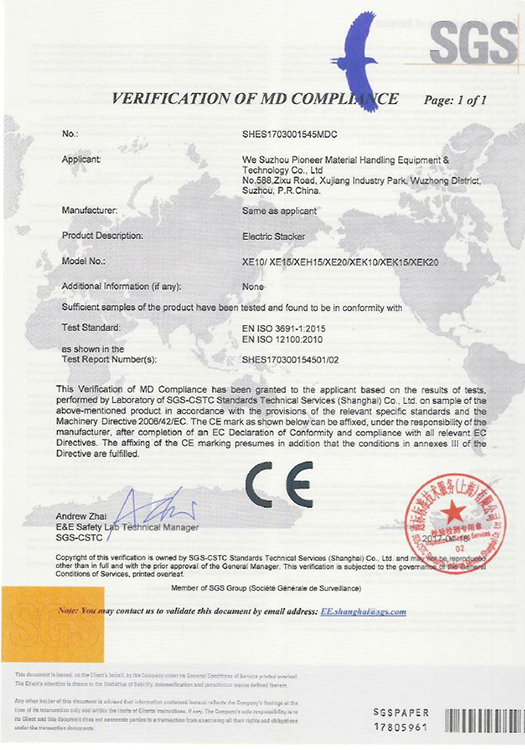 We will also adjust the moving speed of the truck to ensure the safety of the operator and the goods within. Finally, we check if the max lifting height of the gantry mounting is within the standard range and test the truck's gradeability. The quality of Zowell products is matched only by our outstanding services. 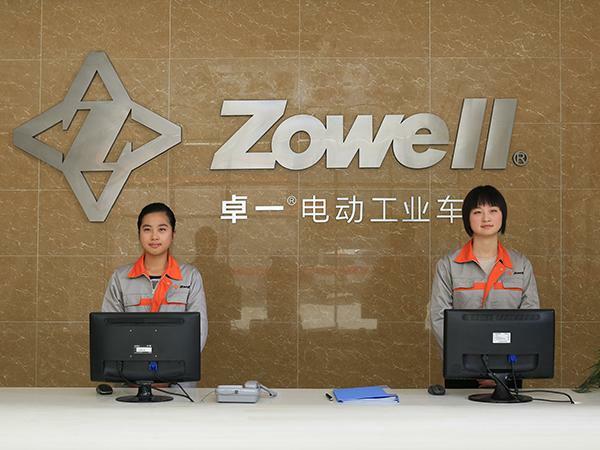 Zowell establishes and maintains deep cooperative relationships with every customers and we provide solutions for problems whenever they arise. We can help customers with working conditions, reducing total operating costs, improving efficiency, etc. We can also provide specific designs according to the various industrial applications our products are used in. Suzhou Pioneer Material Handling Equipment & Technology Co.,Ltd.